first of all i would like to thank arganis31 for the new compile machine : it is really faster to compiler now, and moreover, i can use my machine during compilation time. this is a beta 2 with several bugs fixed. see https://github.com/batocera-linux/batocera.linux/commits/master for the details. I've tried to fixed all bugs i noted, but while there were several feedbacks, i may have not seen some of those. the aim of these beta is to release 5.21.
so, for this beta, please report only bugs not appearing in 5.20.
once 5.21 is released, i will do a new thread so that you can report wanted bug to fix. keep in mind the target, 5.21 for the next days. Next Level v2.3 is working great ! and an old retropie theme is working too "es-theme-zoid"
why dont you just implement the new features early working version ?`test today evening . If i launch a game and quit, bug is solved and i can parameters pad in USB or BT. How can I update to this version? Do I put the rar file file somewhere of can I update from the menu? tris20 you have to reburn it to usb/sd card to do temp update. @GameCast there is time for new feature and time for fixing bugs to be able to release. we're on time to fixing bugs. @Pho3nX which 8bitdo ? mine is working out of the box : "8Bitdo SF30 Pro"
I have no problem with any of my 8bitdo pads. In 5.21 they work great. Maybe you have a bluetooth driver issue with the new version? On my computer, actually, 5.20 I had a LOT of trouble getting my SF30 Pros to sync, but in 5.21 everything always syncs right away. All the other systems i tested also work fine, but Sega Saturn, when using the Beetle-Saturn Core the Games do not start (black screen and then it goes back to ES Menu). In 5.20 Bettle-Saturn worked, in 5.21 it is broken. 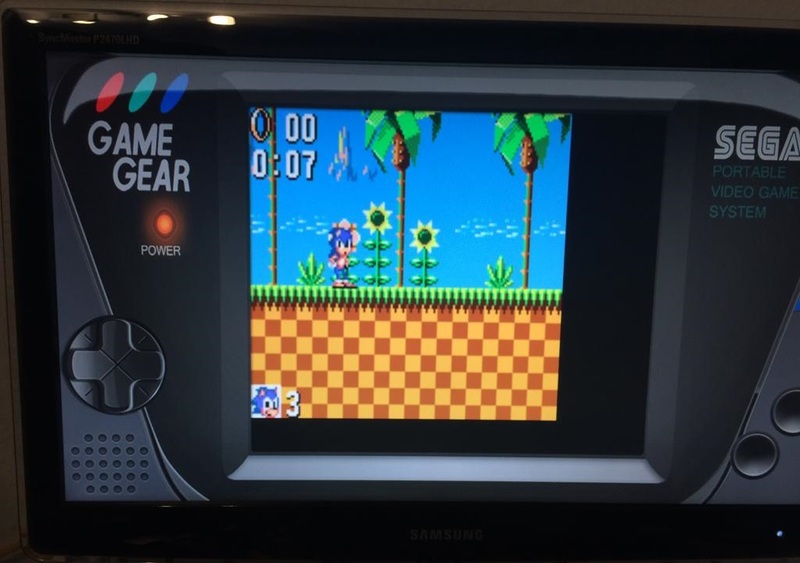 joinski Gamegear size has been fixed for the final version, do not worry. @Pho3nX for sure there are still bluetooth issues, and i've to work again on it. unfortually, not for 5.21.
nadenislamarre please Adenis, when you have a time, check my problem in Dolphin gui and WiimoteNews because all my Batoceta is perfect just missing this detail ok, tksssss. just update it with the wiki. worked like a charm. it is only anoying that i need to remove the hdd from my laptop. only one thing for me ill try that in a minute. will dolphin save the config i make now with the controller. well, still when i edit my controller input it doesn't save it. the audio controls on my laptop work again thanks!!! Put it on a usb drive started the the program. My games are on external hard drive. after boot looks for games is hard drive without me telling it look there and freezes on ES display. I need to for it load and not look for hard drive till I tell it to. I'm using x64 for PC. Sorry if this is an easy fix, but for the first time since typically upgrading via SSH, I'm getting a "not enough space on /boot to download the update" error. I theoretically have plenty of space on my SSD.